UPDATE JUNE 13: The door into the room of two tourists at Circus Circus had a broken latch plate, allowing anyone to open the door by simply pushing it open, according to an arrest warrant. 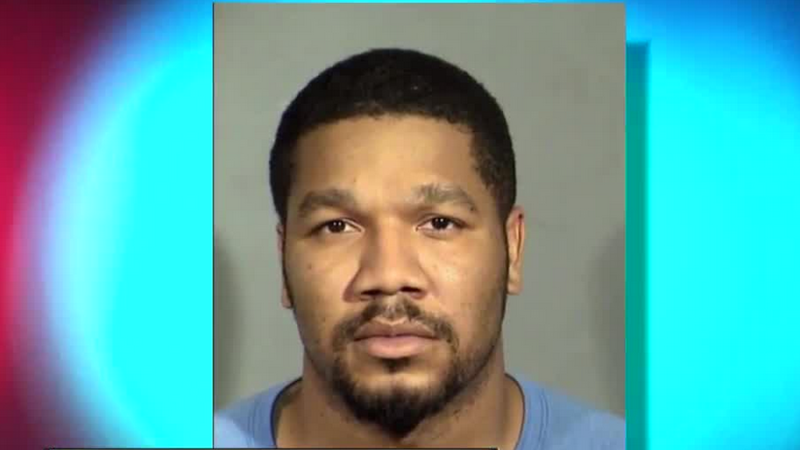 31-year-old Julius Trotter was arrested June 7 in California in the case. During the investigation, detectives learned it was not uncommon for suspects to randomly check hotel doors to see if they were latched and were commonly known as "door pushers." Detectives also learned that Trotter was a suspect in a robbery case just two weeks before the deadly stabbing at Circus Circus. Police said the suspect in that case attacked an 81-year-old woman at the Four Queens hotel-casino as she entered her room and allegedly took her rings, watch and purse. He has not been charged in that case. In the Circus Circus case, Trotter has been charged with two counts of murder with use of a deadly weapon, one count of burglary while in possession of a deadly weapon and two counts of robbery with use of a deadly weapon. Police said the tourists were last seen on video surveillance at 12:21 a.m. and used their key card at 12:23 a.m. Around 3 a.m., occupants in the next door room heard the noise of a physical altercation but did not report the disturbance. Around 3:40 p.m., Circus Circus conducted a welfare check and discovered the bodies of Nghia Boi Sang and Nguyen Le Ba Khuong. During the investigation, police also learned that a cell phone belonging to Nghia, a blue bag, a brown purse and jewelry were missing from the room. A Circus Circus investigator told police that a suspicious man was seen on surveillance video with a blue or black backpack with shiny straps. It was similar to a backpack Ngyuen had when checking into the hotel. 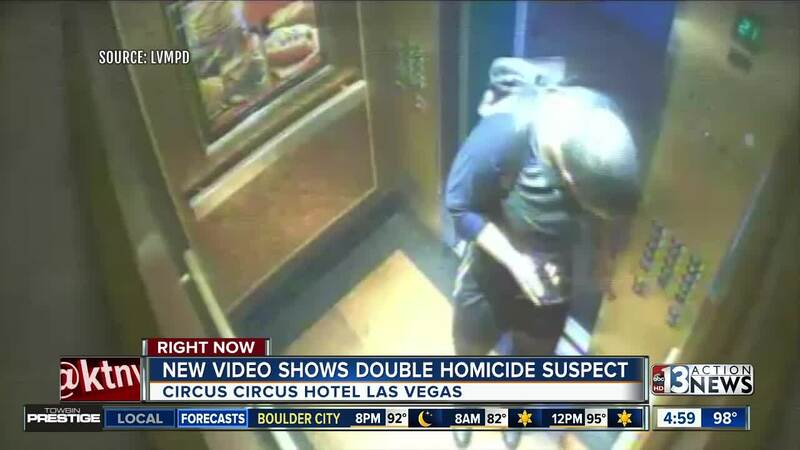 Surveillance video also showed Trotter and a woman leaving Circus Circus with luggage before they were taken by cab to the Palms hotel-casino. The room was under the woman's name but Trotter used his player's card while at the casino. 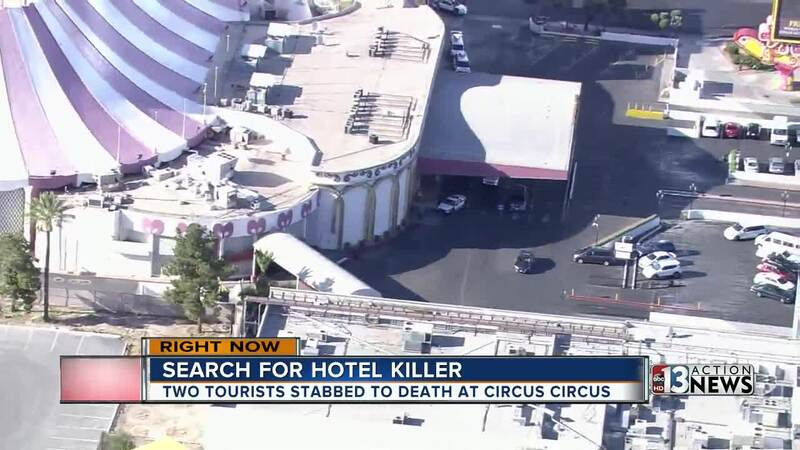 UPDATE JUNE 7: A man has been arrested in connection with the deaths of two people at Circus Circus hotel-casino last week. 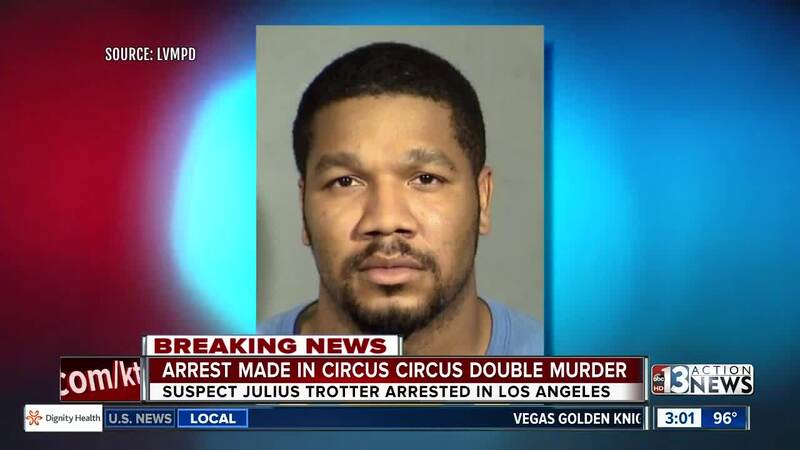 31-year-old Julius Trotter was arrested in the Los Angeles area earlier Thursday. He was taken into custody after a vehicle pursuit, involving the Criminal Apprehension team and FBI Los Angeles Fugitive Squad. Police did not specify any charges he might face. According to court records, this is not Trotter's first run-in with the law. At the time of the double homicide, there was a warrant out for his arrest in a different crime. Contact 13 learned that on Jan. 14, 2017, Las Vegas police stopped Trotter in his purple BMW at Sirius Avenue and Rancho Drive because he was weaving. According to the arrest report, Trotter ran back to his car and tried to take off, dragging an officer about 75 feet. In a plea agreement, Trotter was found guilty for "resisting an officer with a dangerous weapon." He was sentenced to at least 19 months in prison, which was suspended. He got five years probation instead. But court records show he violated the terms of his probation and a bench warrant was issued May 23, just 10 days before the two visitors were stabbed to death in their Circus Circus hotel room. Contact 13 reached out to Parole and Probation for details on Trotter's probation violation and to find out whether authorities were actively looking for him. We're still waiting to get those answers. UPDATE JUNE 6: Las Vegas police held a press briefing on Wednesday afternoon to talk about the double homicide at Circus Circus hotel-casino. Police say that they are looking for a light-skinned, black male with a tattoo on the back of his neck. He is believed to be between 25 and 30 years old. Suspect sought in murder of two people found deceased in a hotel room at 2880 S Las Vegas Blvd on June 1. Police say they believe the man was checking doors in the hotel-casino until he found one that was open. A surveillance camera captured him getting onto an elevator around 4 a.m. June 1. He was next seen getting back on the elevator at 4:45 a.m. At that time, he had a backpack with him. He did not have one when he entered the elevator. "He's getting the hell out of dodge here," said 13 Action News Crime and Safety Expert retired Las Vegas police Lt. Randy Sutton. He also took a look at the suspect's body language. "Sort of a nonchalance almost," he said. Police say they consider the man to be a danger to the entire community. They also used the press conference as an opportunity to warn people staying in hotel rooms about leaving their doors unlocked. Police believe the door of the victim's hotel room wasn't shut all the way. The suspect apparently checked door after door until one opened. "This is a tragic situation and we offer our condolences to the families of the victims during this difficult time. We will continue working with law enforcement as they investigate this incident, determine the facts of this case and work to apprehend the individual responsible. "Security remains our top priority, and we work continually with law enforcement and security experts to develop and implement policies and procedures to protect guests and visitors. We deploy highly trained security personnel throughout our properties 24 hours a day, and we will continue working tirelessly to ensure guest safety." 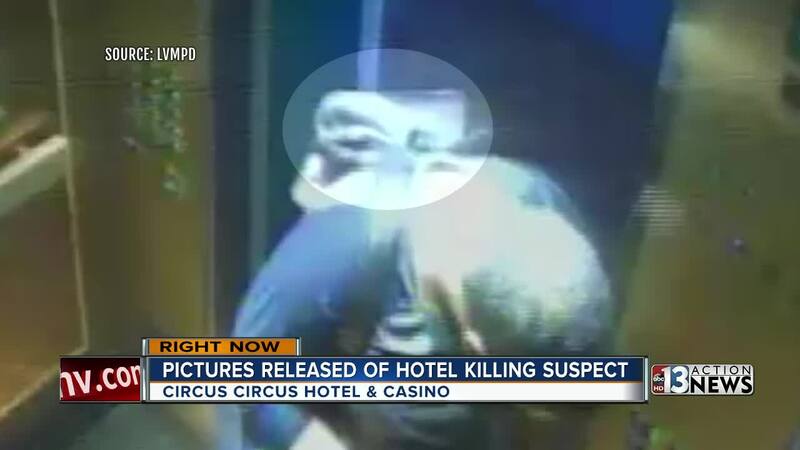 UPDATE JUNE 5: A reward is now being offered leading to the arrest of the person responsible for the deaths of two people on June 1 at Circus Circus hotel-casino. Police say that a person may have entered the room where the deceased were found with the intention of stealing property. The hotel-casino is offering a $10,000 reward for information leading to the identification and arrest of the person responsible. The murders are believed to have happened around 2 a.m. June 1. The bodies were discovered after a welfare check was requested because the pair did not show up for a scheduled tour. 13 Action News Crime and Safety Expert, retired police Lt. Randy Sutton says generally speaking crimes like this are not random. "Murders in hotel rooms here in Las Vegas is extremely rare," said Lt. Sutton. Of course the investigation is ongoing. Sutton says it's important to keep your guard up even in casinos. That means not opening the door for strangers. "If you don't know who it is," said Sutton, "just like in your own home, you don't open the door." UPDATE JUNE 4: The director of the Trieu Hao tourism company, Nghia Boi Sang, and a male member of her staff, 30-year-old Nguyen Le Ba Khuong, were the two stabbing victims according to a statement made by the Vietnam Embassy in the United States. UPDATE JUNE 2: Las Vegas police say they're treating this case as a double homicide rather than a murder-suicide. ORIGINAL STORY: Homicide detectives are investigating after two people were found fatally stabbed inside Circus Circus on Friday. An initial investigation indicates that the two victims came to Las Vegas as part of a tour group. The two were supposed to go to a tour to the Grand Canyon Friday morning, but they did not show up. After a welfare check, Circus Circus security entered the room later in the day and discovered they had been fatally stabbed. The exact time the stabbing took place is unknown at this time. Witnesses claim to have heard a disturbance near the area around 2 a.m. Friday that appeared to be an argument. Las Vegas Metropolitan Police is on scene and we are cooperating with their investigation. LVMPD has indicated that there is no active threat to guest safety.